This is an interesting idea. I always preach about how it is important to use and create smart families. Families that are parametric and look correct in all views. Families that content all the necessary information for all types of studies (heat, energy, cooling, light, etc..). 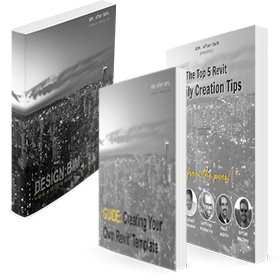 The purpose of the Revit Model Style Guide is to define Autodesk guidelines and standards for model creation in Revit® Architecture, Revit® MEP, and Revit® Structure. All sample family and project files were created based on the Revit Platform 2009 release; therefore, they can’t be opened in earlier versions of Revit." Click here to download the fully loaded Zip File. Thanks to RevitOpEd for the find.